Ethel Kamwendo Banda is the daughter of Malawi who is well known for her touching gospel music. She is one of the outstanding Malawian musician Malawi have ever had. Her voice is inspired with the Holy Spirit which makes alot of people turn to the Lord! Her testimony is amazing. Most of her songs are based from her Testimony e.g "Amen!" which was released just after she got born again. After that her music went further with music like "Ndiumboni" and "Ndidzayimba" "Uthenga" "Watikondera" and many more! Ethel Kamwendo Banda was once a secular musician till some years back he turned to God and God answered her prayers. She is an inspiration to all Born Again Christians and all. She has realeased a number of Albums and DVDs. They're one the best selling in Malawi. She is a happily married woman with a son. 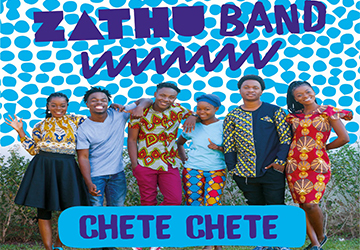 Most of her songs are famous and are easy to sing-along even for those who doesn't know the Main Malawian language of Chichewa! She is now embarking of singing her songs in many Malawian languages and some in English.